Chef T personally knows the impact of mental health on families. She's all too familiar with the high suicide rates among her chef colleagues. She's starring in the just-released Rookies vs. Veterans Hell's Kitchen season, after finishing as the Hell's Kitchen Season 14 runner-up. 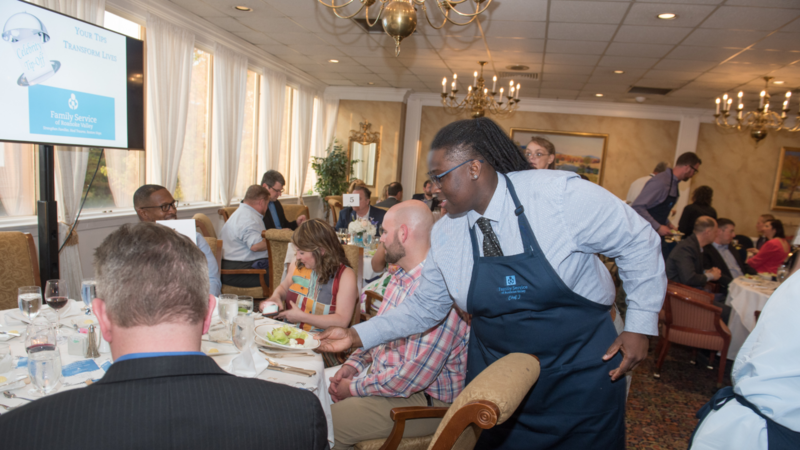 A local celebrity chef, veteran Celebrity Tip Off waiter, and overall fantastic human being, Chef T is a long-time friend of Family Service and supporter of mental health services. She's challenging you to match her $350 donation to help others live their happiest, healthiest lives. We need you to match her gift and raise at least another $350 by September 14 for Suicide Prevention Week. Join Chef T and give today! Make sure people in our community have somewhere to turn when something comes along too big for them to handle alone.